Last time I wrote a bit about how to duplicate and customize artboards for later working in parallel. Usually I don´t rename Arboards, but from time to time I need to save each artboard separately. It can then be useful to give artboards a proper name to avoid confusion. 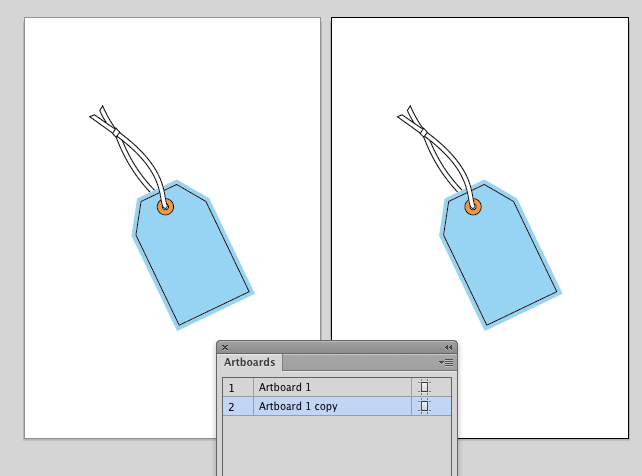 The picture above shows, that when duplicating artboards Adobe Illustrator automatically gives the Artboards names as copy, copy2, and so forth. Just like layers, artboards can also be renamed by double clicking on the name field and typing a new name. 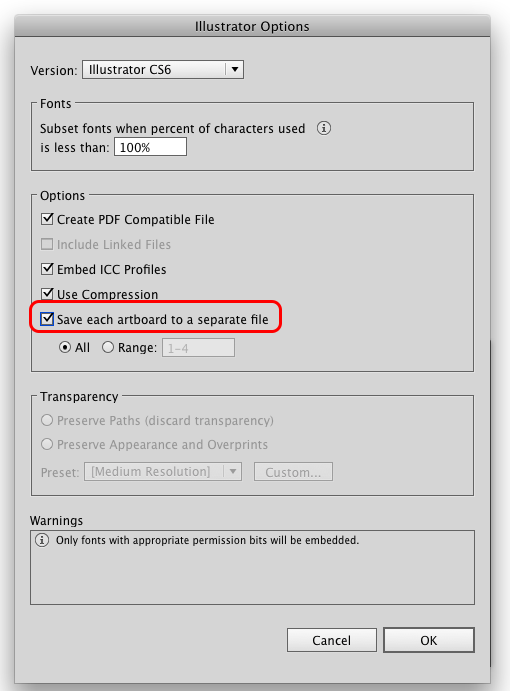 Open the Illustrator Option menu by using "Save As" command and click the tick box "Save each artboard to a separate file"
In Adobe Bridge, there will now be five files: My original file Hangtag.ai (with all 4 artboards) and four single page files. 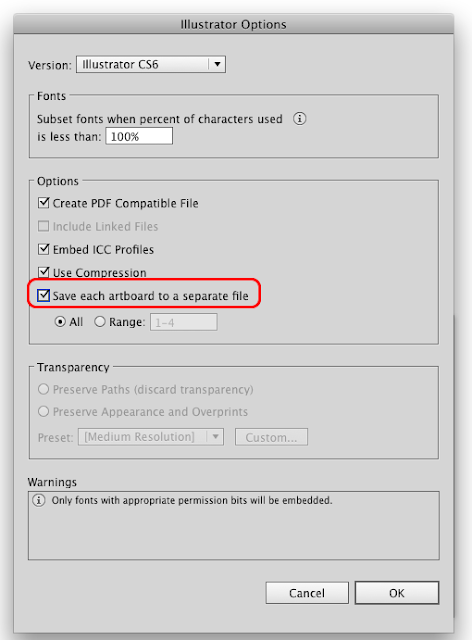 The single page files will all be named Hangtag_artboard name. I like this function and use from time to time. Let me know if you think it's useful by commenting.